This N Able folder features bronze bolsters and lightning strike carbon fiber scales. It has filed titanium liners and back strap with ruby and citrine inserts. 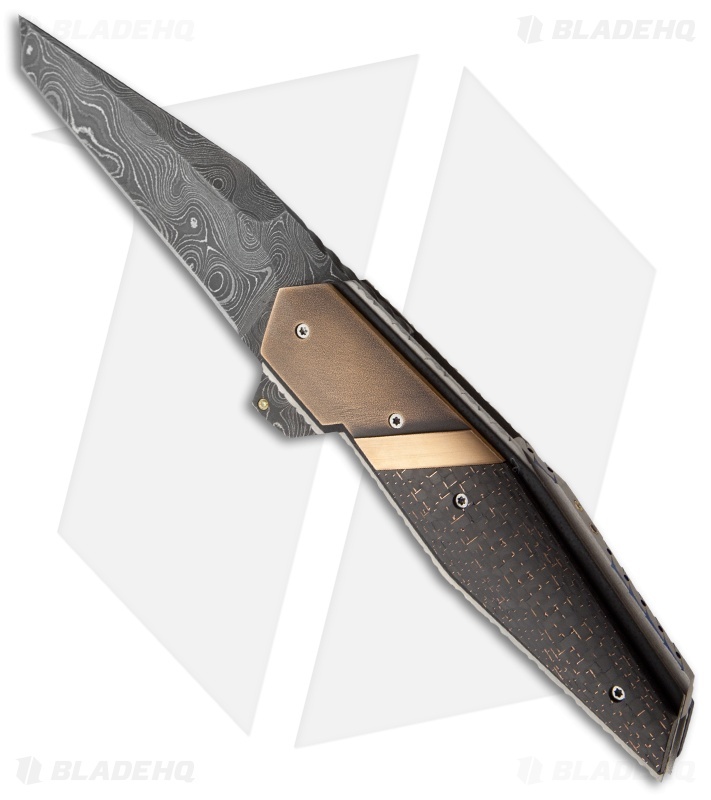 The Damascus steel tanto blade has a filed spine and citrine insert on the flipper. This flipper has a ball bearing pivot for ultra smooth action. Corrie Schoeman has been making knives for 30 years and his work is timeless, both in terms of quality and aesthetics. We picked up quite a few of his folders at the 2011 Blade Show. These knives feature premium materials and each one has extremely smooth action and perfect lockup. We love the uniqueness of each piece and we think you'll love these knives too! Pictures are of the actual knife for sale. 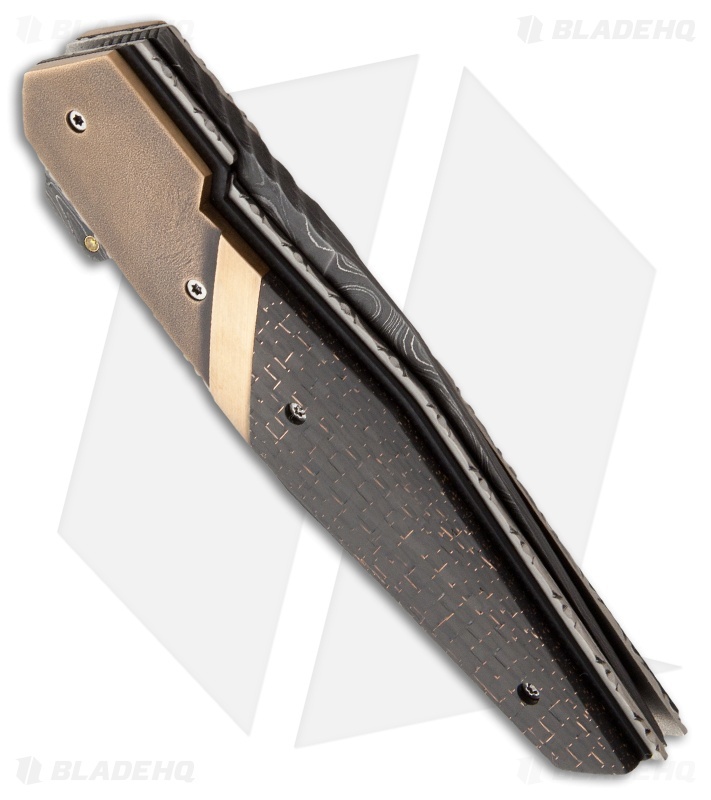 This knife was made in July 2013.